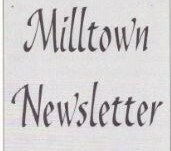 Browse through editions of Newsletters which were brought out in the parish of Milltown during the 1990s. See how life was during that era and some interesting snapshots of people's lives. Enjoy the journey!